Slim gaming stylish shape with cutting edge design. Multi-media function keys are provided for the fast control volume up/down, play/pause and skip tracks. N-key rollover supports 19 keys pressed at the same time. 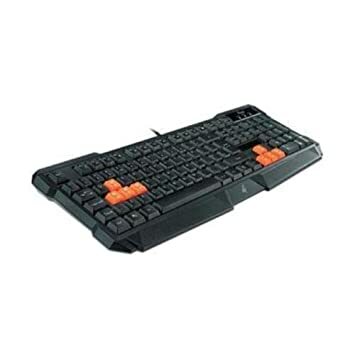 Swappable gaming direction keys provide you convenient gaming experience.